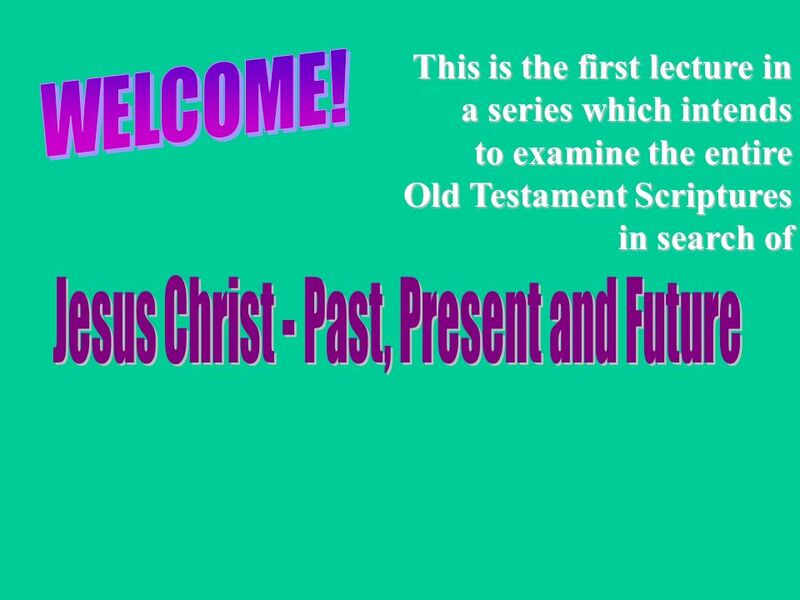 This is the first lecture in a series which intends to examine the entire Old Testament Scriptures in search of. 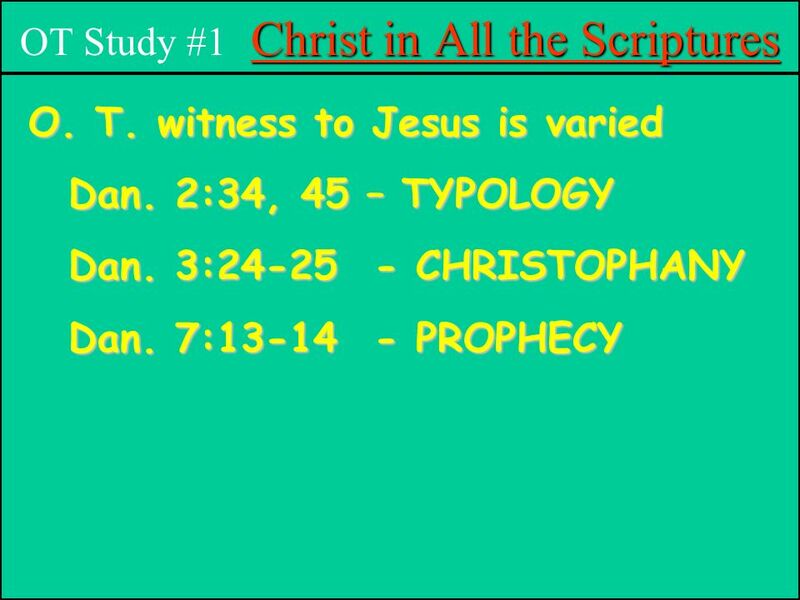 9 Christ in All the Scriptures OT Study #1 Christ in All the Scriptures Keys to Biblical Interpretation: (1) What is the particular word? (2) What does the sentence state? (3) What is its immediate context? (4) What book is it in? (5) What Testament does it fall in? 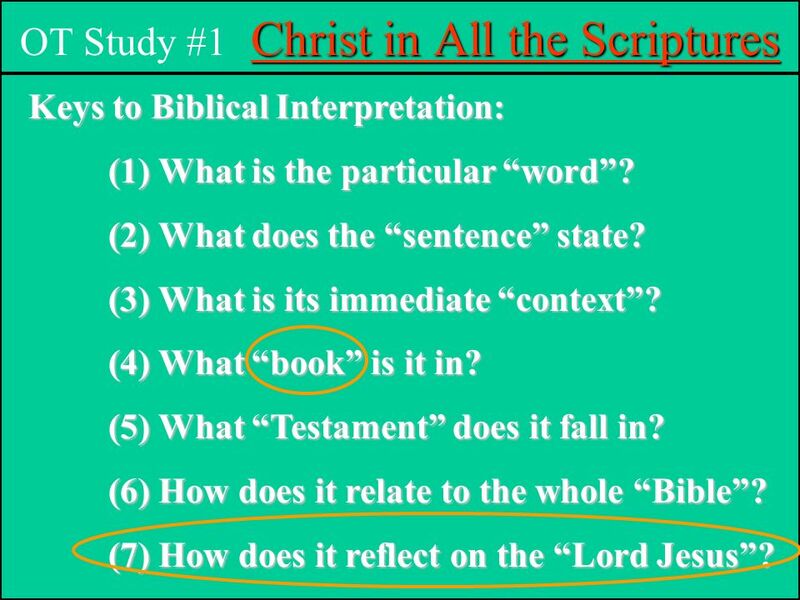 (6) How does it relate to the whole Bible? 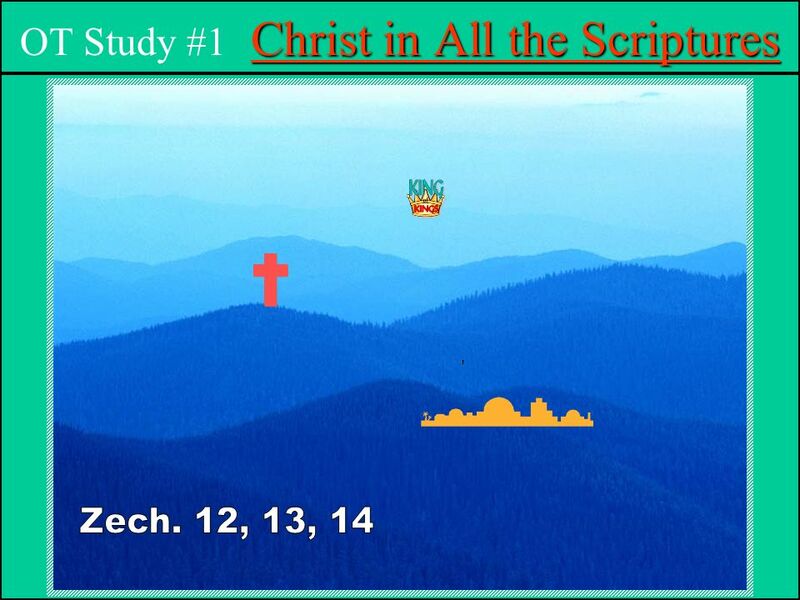 (7) How does it reflect on the Lord Jesus? 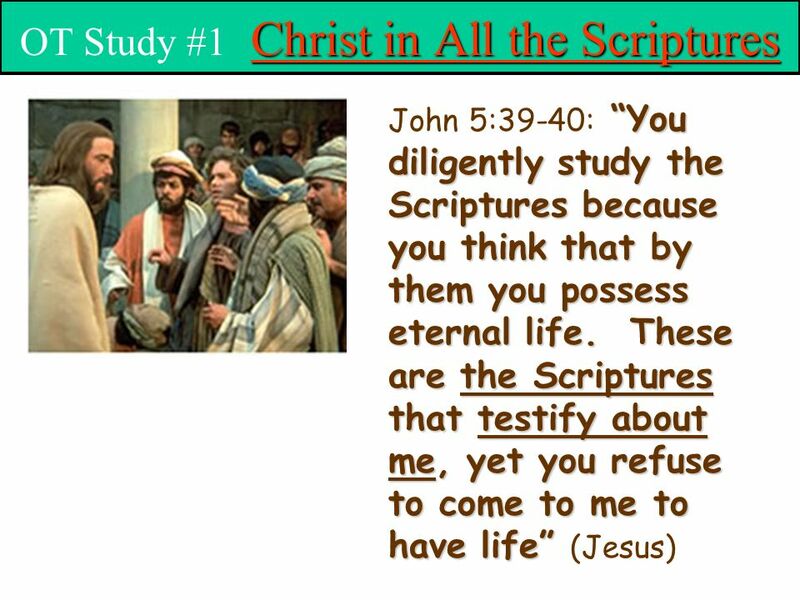 10 Christ in All the Scriptures OT Study #1 Christ in All the Scriptures QUESTIONS QUESTIONS: (a) Why is Jesus Christ the major theme of the Old Testament? 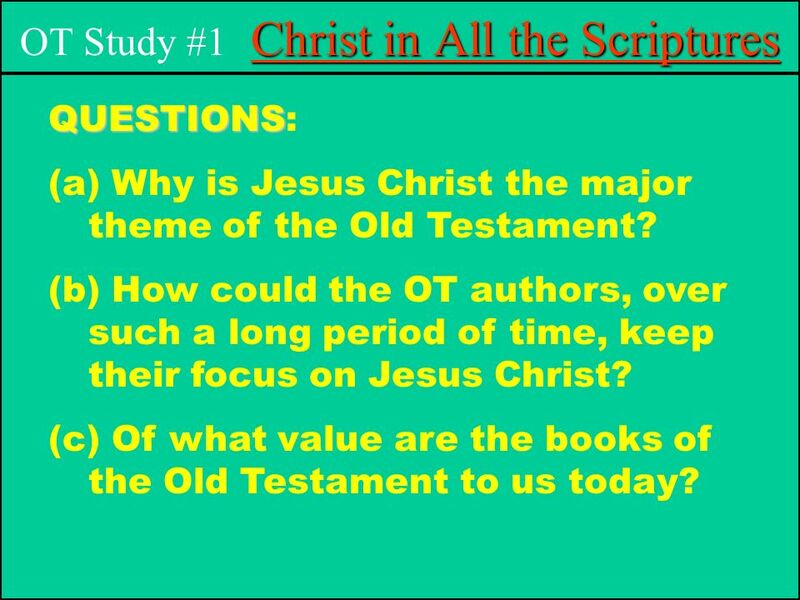 (b) How could the OT authors, over such a long period of time, keep their focus on Jesus Christ? 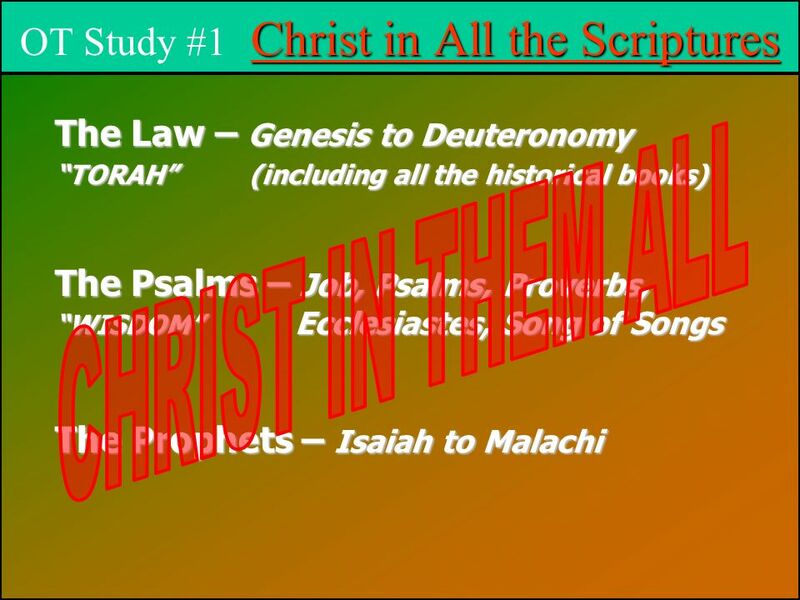 (c) Of what value are the books of the Old Testament to us today? 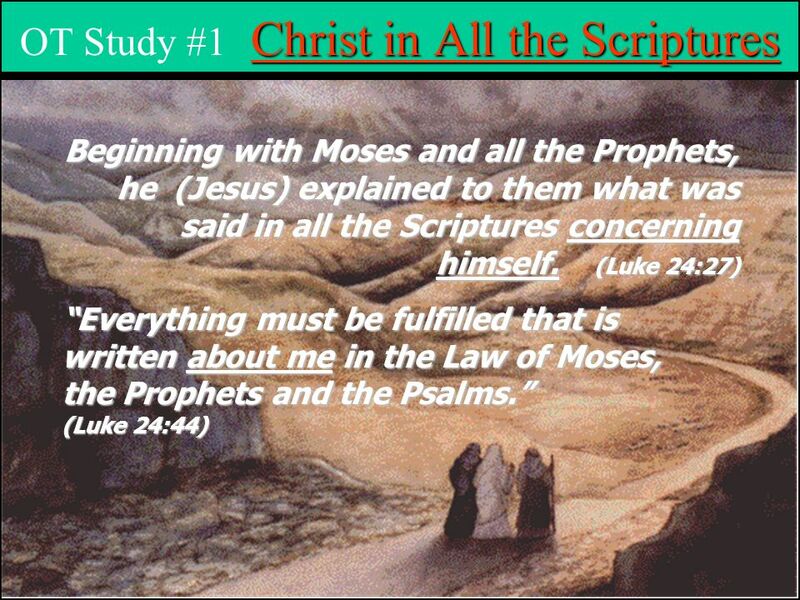 Download ppt "This is the first lecture in a series which intends to examine the entire Old Testament Scriptures in search of." How is the Old Testament Organized? NOT Chronologically (in order of when it happened) Organized by SUBJECT 1. Books of Law 2. Books of History 3. Books. “Mighty to Save” The Book of Zephaniah Drew Mathews Associate Pastor November 16, 2014. THE LAW Genesis Exodus Leviticus Numbers Deuteronomy HISTORY Joshua Judges Ruth 1 Samuel 2 Samuel 1 Kings 2 Kings 1 Chronicles 2 Chronicles Ezra Nehemiah. Old Testament 101: Your Survival Guide to the OT Grades 6 & 7 Religious Education. 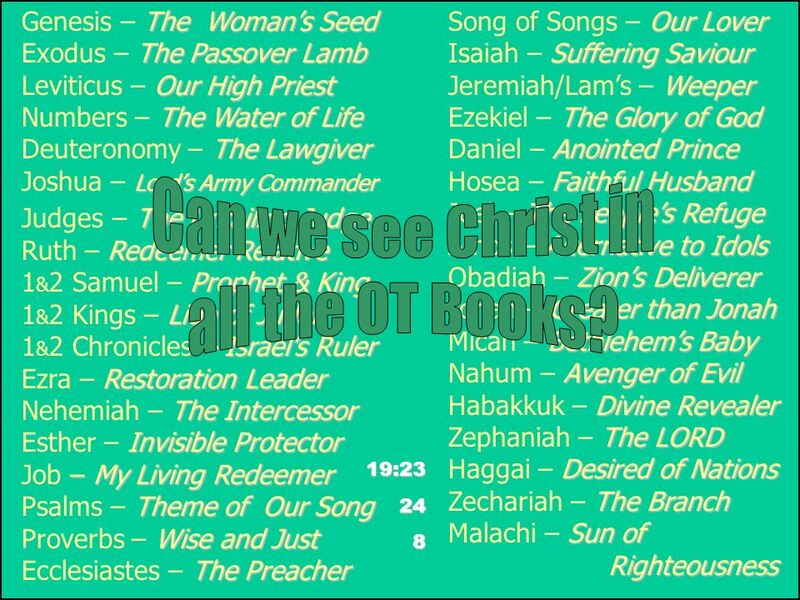 THE Holy Bible 73 BOOKS THE OLD TESTAMENT 46 Books THE NEW TESTAMENT 27 BOOKS 39 BOOKS 7 DEUTRO-CANONICAL BOOKS. Bibles come in all shapes and sizes. The Bible is a book! BIG. 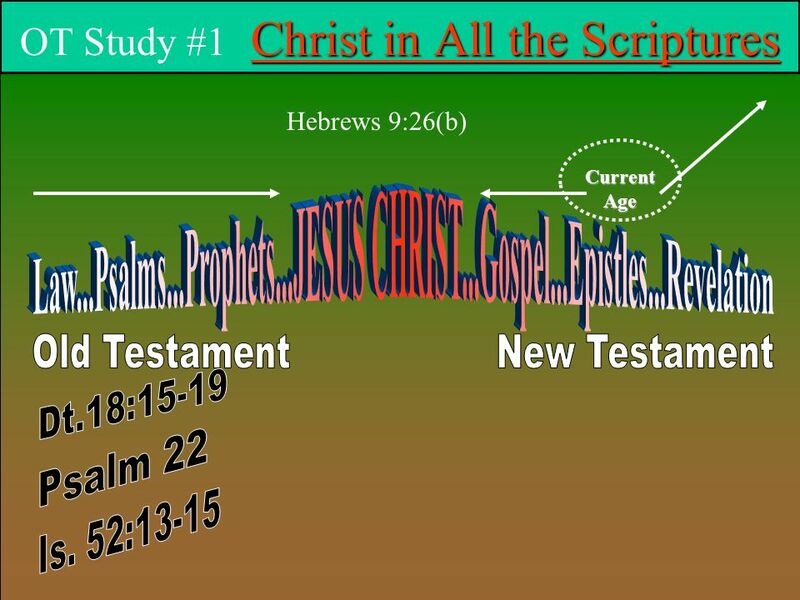 The Books of the Bible Choose Old or New Testament, click forward / backward with the arrows; try to name the next book before it appears on the screen! Bible 66 Books Old Testament - 39 New Testament - 27. 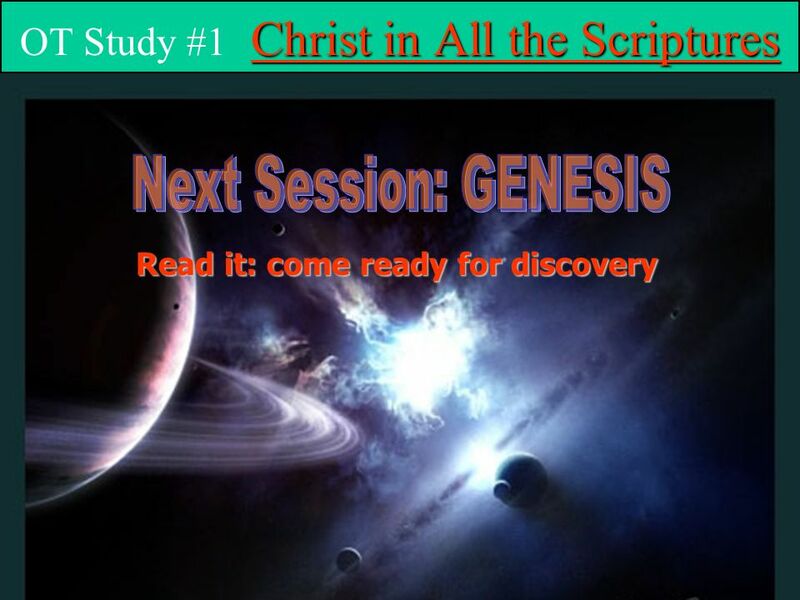 Christ in the Books of the Bible A Brief Overview of the Bible Dr. Gary C. Woods. God’s Unadulterated Love The Book of Hosea Drew Mathews, Associate Pastor Sunday, February 16, 2014. Genesis Exodus Leviticus Numbers Deuteronomy Joshua Judges Ruth 1 Samuel 2 Samuel 1 Kings 2 Kings 1 Chronicles 2 Chronicles Ezra Nehemiah Esther Job.